Nowadays taiji enjoys great popularity and is very widely known. Worldwide there are about 20 million practitioners. It has become quite fashionable to practise taiji and it is used in films and advertisements to create an image of serenity, poise and balance. But, there is more to it than this. Health care professionals and doctors are beginning to recognise the value of taiji exercises as preventative and sometimes even as remedial measure. However, what is most important is to find and practise the correct technique. Originally, taiji was created as a martial art and used in combat. Fighters practised the standing postures to activate their dantian. Later, when dantian force flowed freely through their energy channels, skilled fighters could project this force out of their bodies. They could use this force to fight opponents, even over a distance. Today, the use of taijiquan has shifted towards a more health-orientated purpose, but the forces we are using for health and healing are exactly the same. Through practise, the mind and body benefit in a variety of ways. Practising taiji can help to free blockages in the energy channels and optimises the circulation of the internal vital energy or life force. The correct application of the exercises will change the quality of our inner energy. They help to correct and regulate bodily functions and change the quality of health and wellbeing. The 37 positions of Taiji 37 are the original stances upon which all taiji is based. Practising any one of the standing postures of Taiji 37 will lead to the activation of the dantian and thus to the development of taijijin (taiji forces). If practising in the correct way, the student will experience spontaneous movement. This helps to cleanse and open the body’s energy channels and to activate the internal energy forces. These forces are innate to everyone but they are usually dormant. 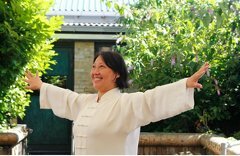 Many practitioners of taijiquan never experience the sensation of their inner energy, and do not know how to discover and develop these taijijin. Traditionally the prerequisite and foundation for studying taijiquan was to first develop the taiji forces. Taiji 37 is a series of secret taijiquan techniques which as customary in Chinese tradition, were only passed on from father to son. This way, with the passing of time a lot of this ancient wisdom became incomplete. 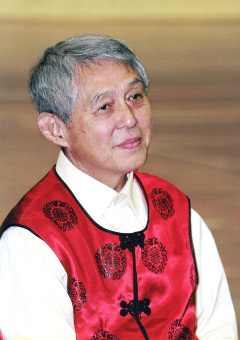 Dr. Shen Hongxun was very fortunate to recover this knowledge from several taiji masters who were still in possession of authentic and uncorrupted knowledge about these techniques. He realised these traditional teachings were in danger of being lost, and began to teach them publicly. The function of these techniques is to awaken and cultivate taijijin. The main taijijin to develop are vibration force, spontaneous movement force, and mental force. These forces find their application in martial arts, but another very important aspect is that they can be used for self-healing and the treatment of others. Poetry of the Nanpai School about Taiji evokes a mysterious and enigmatic image. It speaks about being invisible and without form. This means, that there really is no taiji form as such, only standing postures and stances that flow from one into another, through spontaneous movement. Each of the 37 postures has its own specific spontaneous movement, which manifests as a result of the appropriate mental attitude, the right level of concentration and a correct posture. When practised like this the postures open different energy channels and activate the three qi-circulations, helping to expel pathogenic factors (binqi) from the body. With more exercise, the spontaneous movement becomes more pure and refined, gradually becoming more internalised. At this stage, students learn to control and guide this spontaneous movement force through the cultivation of a strong mental force. 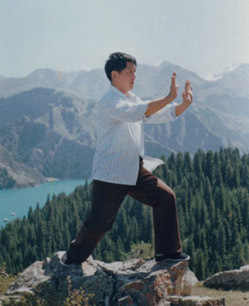 For example in the standing posture ‘Peng’, the student concentrates on expanding the body in all directions until he is connected with the whole cosmos. The body fills with energy and the channels and meridians open. With ‘Dan Bian’, the forearm is used to fend off possible opponents. The natural tendency of the body while in this posture will be to turn with great force in a certain direction. The practise of developing taiji forces has a healing effect. Most people think that taijiquan improves their health because it activates the qi circulation; but the main reason is because it expels binqi (negative, illness causing factors). Taiji forces push the binqi out of the body through the meridians, which allows the qi to circulate freely again.